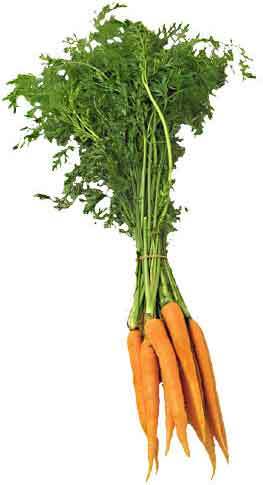 Carrots are Britain's second most popular vegetable after potatoes and almost all carrots bought are grown in the UK. This report looks at carrot production, in relation to pesticide use, food miles and biodiversity. Carrots are Britain's second most popular vegetable after potatoes and almost all of the carrots we buy are grown in the UK. Carrots can also make an excellent contribution to a healthy diet. The key issues concerning carrot production are those of pesticide use and of food miles, the problem of increasingly long distance food transport. Pesticide problems: Carrot crops are hosts for insect populations, which in turn provide food for birds and other wildlife. However, these insects, the carrot root fly in particular, can damage the crops and most farmers use pesticides to reduce their losses. Pesticide use on carrots has led to concern about residues in our food as well as damage to the environment. Concern peaked in 1995 when the Ministry of Agriculture, Fisheries and Food reported unexpectedly high residues of organophosphate (OP) insecticide in some carrots. A change in sampling techniques, in which carrots were analysed individually rather than in bulked samples, revealed that residue levels varied considerably from carrot to carrot and that some carrots contained OP residues as high as 25 times above the average level. The Acceptable Daily Intake (ADI), which is normally used to assess risk to consumers, was exceeded by up to three times in about half of the carrots. The government advised consumers to peel and top carrots before eating. Cutting off the top 2-3 mm and peeling the carrots removed about four-fifths of the residues. One of the OPs concerned was phorate, which is systemic. This means that residues were found throughout the carrot and could not be removed by peeling. In response to continuing concerns, at the end of 1997 government approvals for use of phorate on carrots were withdrawn. Detectable OP residues are still occurring in 94 per cent of samples from UK-grown crops known to have received OP treatment. Four years later, government advice is still to peel and top carrots to reduce the risk of consuming pesticide residues. Health risks associated with pesticides are not just for consumers eating the residues. The health of farm workers applying pesticides must also be considered, particularly with reference to OPs which may have adverse neurological effects, both short and long term. Pesticides also have effects on wildlife. These may be due to a reduction of insect populations leading to a reduction in the available food for other animals. There have also been some cases of more direct poisoning of wildlife, including Marsh Harriers and Partridges, following pesticide treatment of carrot crops. Pesticide-free carrot production: Organically produced carrots are grown without any input of artificial pesticides or chemical fertilizers. Crop rotations and enhancement of farm biodiversity are used in organic systems to combat pests or disease. Demand for organic carrots, as for other fresh organic produce, far exceeds the UK supply and we rely on imports to meet demand. There is currently more land in conversion to organic production than is fully organic. This will allow UK organic carrot production to expand considerably in the next few years. Carrots, like other food, are travelling nearly 60 per cent further on the UK roads than in the 1970s. Much of this increase in food mileage is due to the centralisation of our food distribution systems. Most carrots are sold through the major supermarkets. The major retailers have around 76 per cent of the market share for fresh produce and 63 per cent of shoppers buy their fruit and vegetables from supermarkets. Research by SAFE Alliance into carrot prices shows that although the supermarkets have more purchasing power than other retailers, savings are not passed on to the customer. The research also found that smaller retailers such as greengrocers and street markets can often provide locally grown carrots at a very similar price to the supermarket's carrots from further afield. Direct sales from the producer to the consumer are one way of reducing the distance our food travels, of increasing the likelihood that it is really fresh, and of creating a dialogue between farmers and consumers about the farming of our countryside. 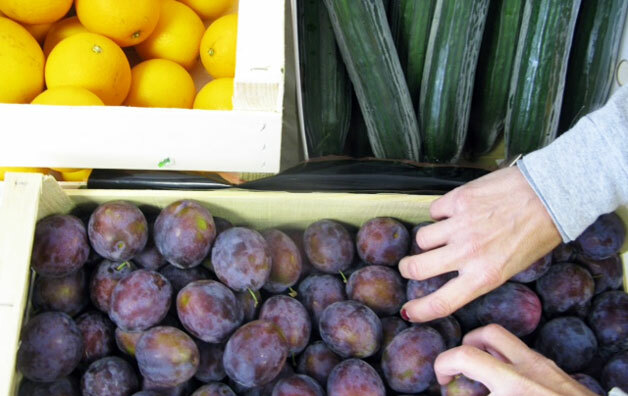 Local food schemes are often established by people trying to get better food more cheaply or to help improve access to nutritious food in areas which can be regarded as food deserts. They include community co-operatives, shared allotments and food box schemes. Farmers looking to improve the percentage of the food sales price which they receive have moved into direct marketing through box schemes, farm shops and farmers' markets. In some cases people get together to grow their own food or to buy food in bulk in order to purchase healthier, better quality foods at lower prices than they are sold in shops.